This is a beautiful time in the greenhouse. Just a couple of weeks ago these trays looked like bare soil. As the first leaves emerge the variation is quite apparent. This year we’re offering two heucheras, Cajun Fire and Delta Dawn, which are new introductions for 2012! As a home gardener, of course it’s fun to get a new plant, but the commercial breeding process begins years beforehand and is a path of patience and persistence. The first step of a breeding program is to focus on a specific trait, such as a new color or improved tolerance to heat/cold…if you’re thinking the black petunia craze, that’s correct. But because there are endless shades of green, breeders allegedly follow the 10 foot rule – the idea is that in order to prevent a glut of similar plants, new cultivars should be easily distinguished from ten feet away. It’s up to you to decide if this is nurseryman’s folklore or actually practiced. Breeders select parent plants, and continue to cross and backcross, keeping excellent records throughout the process. First generation plants (F1) rarely show the desirable traits that their parents were chosen for. But by the second generation (F2), these traits are more easily recognized and are selected for more crosses. Eventually, prime candidates are multiplied for continued trials, and only a clear winner will be released to the public. For example, the general process at Terra Nova Nurseries (a large heuchera breeder), starts with 1200 plants in the trialing area per year. Only 12 move on to a secondary trialing for comparison to plants already on the market. Of those, 3-4 are chosen to be grown and multiplied in tissue culture. About 100 duplicates of each plant are grown and given to wholesalers for trialing in their own gardens for at least one year. If the plant gets a thumbs-up, it now gets a name, a process with few restrictions other than a 3-4 word length limit. Plant patents or Plant Variety Rights need to be filed within one year of commercial release, and can have hefty fees (up to $15,000) and paperwork. Beautiful photographs are one of the last, but perhaps most important, steps to a successful public release. To read an interview with Dan Heims, the famed breeder and horticulturist behind Terra Nova nurseries, click here. To learn more about breeding and its commercial effect, read the story of Minnesota’s horticultural darling, the Honeycrisp apple. For curious hosta experimenters, here’s an inspiring story about growing them as houseplants. I couldn’t tell it better myself, so here it is, from our customer Brian in Minnesota. I purchased a hosta “Touch of Class” last spring. I live in an apartment and I REALLY wanted to see if hosta could be grown as a houseplant. Everyone, even the experts, said no way, especially the blue varieties. I’m rather bull headed and somehow I manage to kill every living plant within ten feet of myself (kidding)…well sort of. Anyway, on Novemebr 1st of 2011 I cut all the leaves off below soil level, gave her one last watering, turned the fridge down to its coldest level, put the whole pot in a zip lock baggy and threw her in the crisper bin. I kept my fingers crossed that this would be enough to trick the plant into the ‘rest phase’. I took her back out on February 1st of this year, and sure enough, last night (February 15th) I noticed the plant had broken dormancy and new leaves are just now poking out of the top of the soil. Just thought you might be curious…they can be grown indoors. You just have to trick them. At last update, March 13th, the Touch of Class is very happy in a north window, and has four leaves. It won’t be long until we go from cold empty benches, to a warm greenhouse full of new color. The empty, pre-season greenhouse bench. The first heuchera in the greenhouse this spring. Dormant plants that were over-wintered are being uncovered and will be moved to the greenhouse. We also received our first shipment of tissue culture plants this week. Mary uncovers the dormant plants. Plug trays are transferred to the greenhouse. Even though this seems to officially be the ‘unwinter’ of 2011/2012, as I look outside there is still a layer of crunchy, white snow-ice. I know spring isn’t too far away, but my plant catalogs have already been paged through and I’m getting antsy. It’s time to be a little bolder when daydreaming and to dig a little deeper with distractions. Phytography: Botanical word of the day explained. A truly perfect tool, (created by Tony Foster), for those of us that always mean to brush up on our botanical terms, but are just as happy to admire beautiful plant photography. 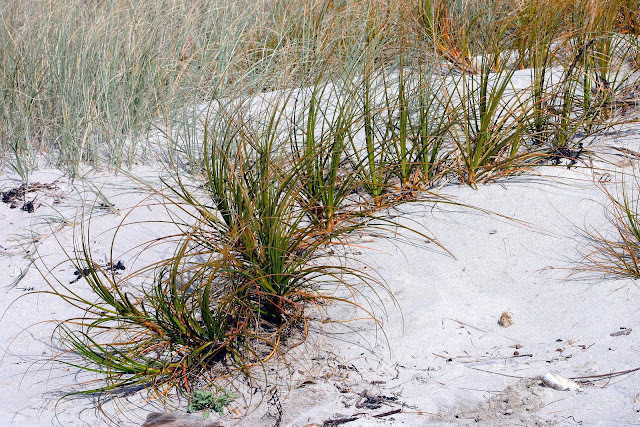 Example at right, Rhizome – An underground stem that can produce roots and shoots. Hostas spread through rhizomes.